Home > Guitars > Ibanez GRG140 – Is it a Top Guitar? 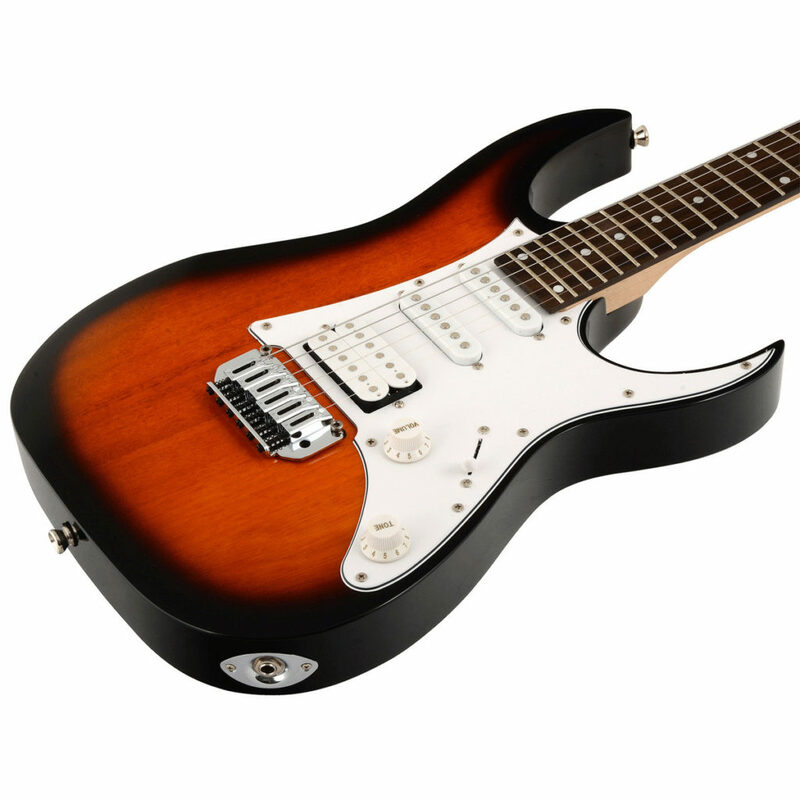 The Ibanez GRG140 is a great looking Strat style guitar which gives the Yamaha Pacifica 012 a run for its money. The Ibanez GRG140 is a good looking guitar and perhaps a rival to the Yamaha Pacifica 012. But is it a rival to the Pacifica as cost effective and quality guitar or is it a waste of money? Ibanez produce some of the best guitars for some of the greatest names in music. Think of Steve Vai and Joe Satriani and you instantly think of Ibanez. So if you buy an Ibanez you should expect a high quality guitar with a very high specification. But all this comes at a price – or does it? In an effort to capture a slice of the budget guitar market Ibanez launched a number of budget ranges to appeal to the novice guitarist. Their claim is that you get the build quality of a high end Ibanez at a fraction of the price. But in the chase to save cost have Ibanez compromised on quality. Lets look at the Ibanez GRG140 and decide. The Ibanez GRG140 is a fairly straight forward super strat style guitar. The body is a nice size and weight and is cut from a solid piece of basswood. The guitar has some contouring to make it comfortable to play but the detail on the body is minimal to save cost. The bolt on neck is maple with a 24 fret rosewood fingerboard. The neck is cut with an Ibanez GRG profile which is a very comfortable neck to play. If you are looking for a neck to shred those scales and modes on then the Ibanez GRG140 is the guitar for you. The Ibanez GRG140 comes fitted with the classic super strat pick-up configuration of humbucker in the bridge position and two single coils in the neck and middle positions. The pick-ups themselves are bulk standard Ibanez designed pick-ups which is as you would expect on a budget guitar. You won’t get any high spec extras on this guitar! The pick-up options can be accessed through a 5 way selector switch and there are volume and tone controls. The bridge is a FAT-10 tremolo unit which allows some whammy bar action, but don’t get too heavy handed as it will de-tune the guitar. If you are not keen on tuning a guitar then probably it would be best to avoid the Ibanez GRG140 because if you use the tremolo too much you will be tuning a lot! The rest of the hardware is chrome and is fairly bulk standard. Once again if you are looking for something a bit more high end then the Ibanez GRG140 is not the guitar for you. So what does the Ibanez GRG140 sound like? Plugged in the Ibanez GRG140 doesn’t sound too bad. On a clean amp setting the tone is good with a nice mellow bass sound from the neck single coil and a punchy solid output from the bridge humbucker. Whack up the distortion and the guitar performs reasonably well too. There is a re-assuring growl from the pick-ups with the humbucker having a real solid crunchy tone. However, push it too far and the single coils do start to sound a little ropey, but then you might like that. Generally the sound is good if not amazing but then this is a budget guitar. In essence the Ibanez GRG140 is a budget guitar and so has to be viewed in that light. The spec of the guitar is good for the price. 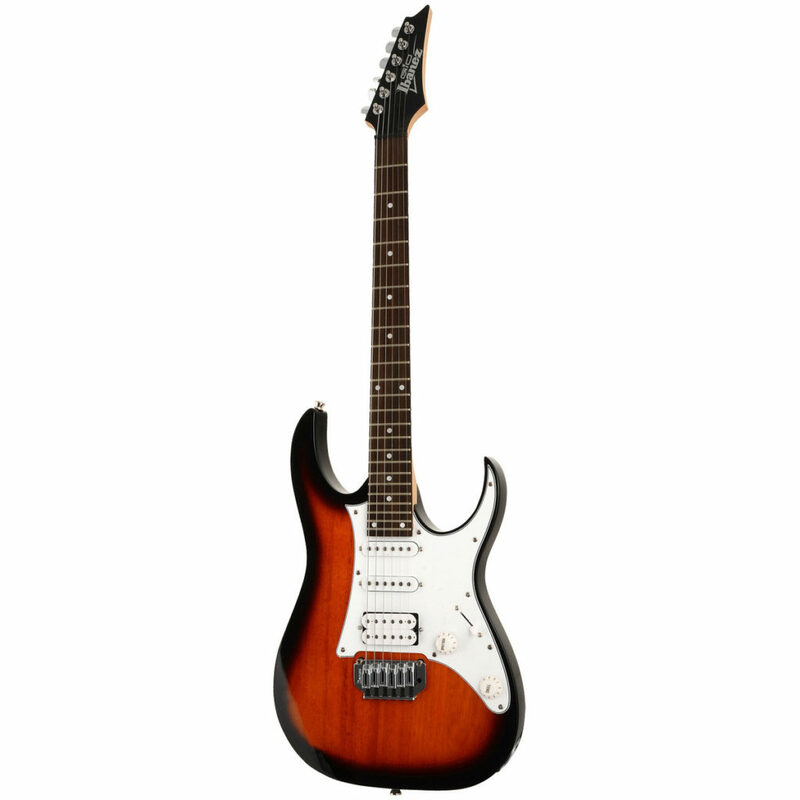 The build quality is good and the sound that you can get out of the guitar is fine if you don’t expect too much. So is the Ibanez GRG140 worth looking at or should you look at something else such as the Yamaha Pacifica 012. I would have to say it is a difficult choice but the Ibanez GRG140 is a good guitar and stands up well to the Yamaha. So it really boils down to personal choice. but if you want an Ibanez then this is certainly a good place to start. Go to Gear 4 Music for more details and the price for the Ibanez GRG140. Squier or Fender Telecaster, which do you choose?